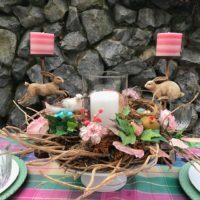 Create this lovely spring wreath table centerpiece for Easter and garden club luncheons. 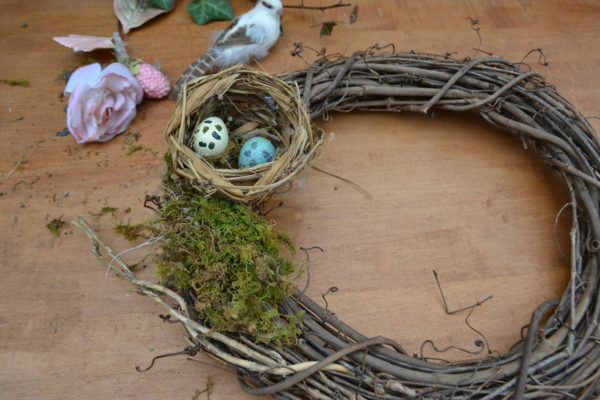 A grapevine wreath as the base, add a few curly willow branches, bird nests with speckled eggs and moss. 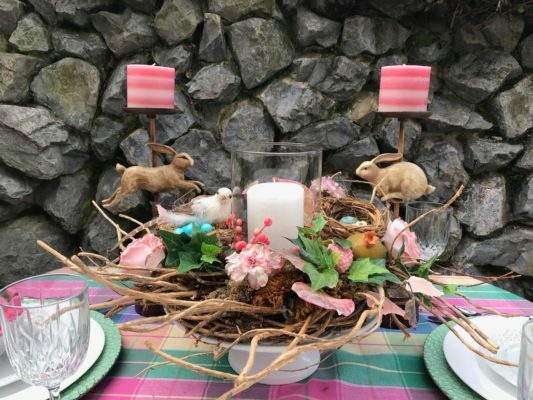 Add a center glass canister with tall candle to complete this one of a kind centerpiece. 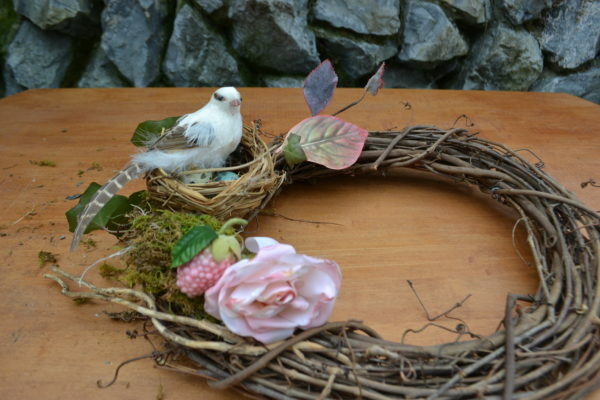 Lay wreath on flat work surface, hot glue moss in random positions on the top of grapevine wreath. 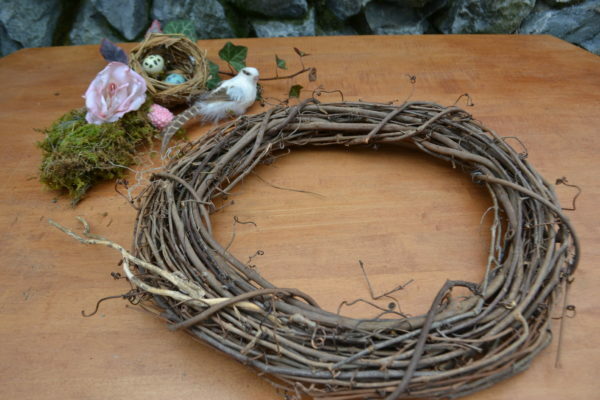 Add willow or other twigs around the base of wreath with all branches going in the same direction around the edge. Use assorted lengths and uneven placement for more texture and interest. 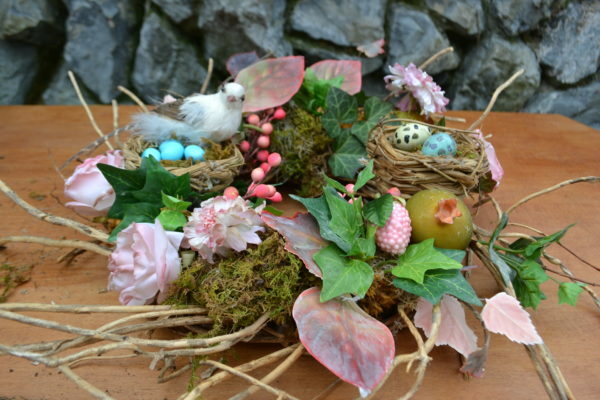 Glue or pick nest on one side of wreath, around 8. Picture your wreath as a clock with the hands on 8. Place another nest at 2 . Or 10 and 4. 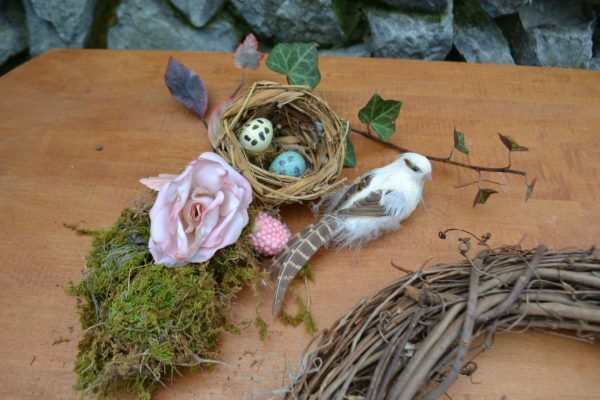 Position faux stems and ivy around the nests and at 5-6:00 on the wreath. 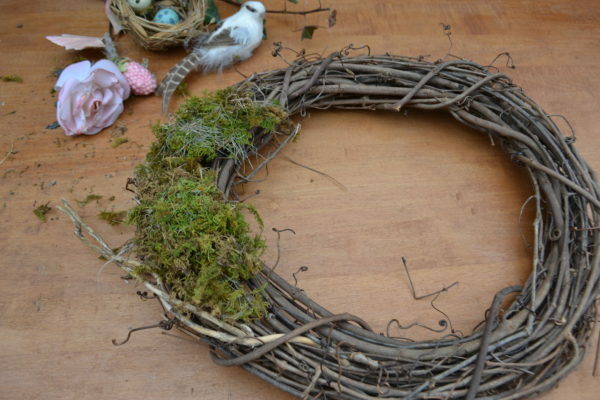 Fill in the remaining wreath with berries, faux roses and additional twigs or moss to completely cover the space. Place on cake stand in the center of your table or buffet, add the clear glass canister with white pillar candle. Think of your wreath as a clock face when positioning elements. Place similar elements in size and shape on opposite sides from each other, like 2-7 or 10-5 but not 3-9 or 12-6. If elements are placed asymmetrical your wreath will balance better. 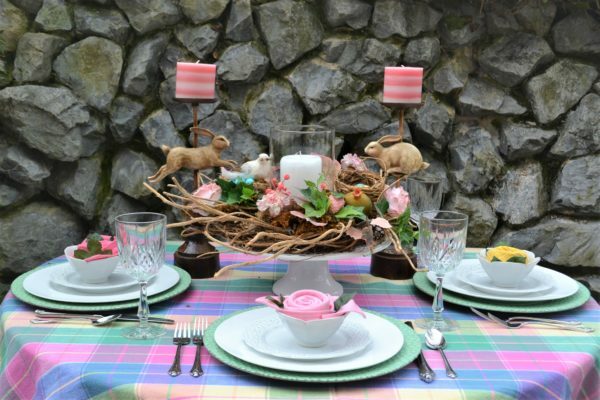 Check out Spring Tablescape using this centerpiece and Learn how to fold a Rose Napkin.